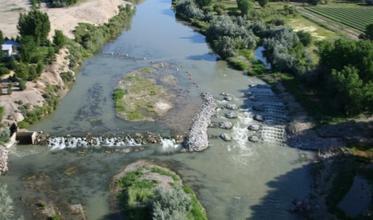 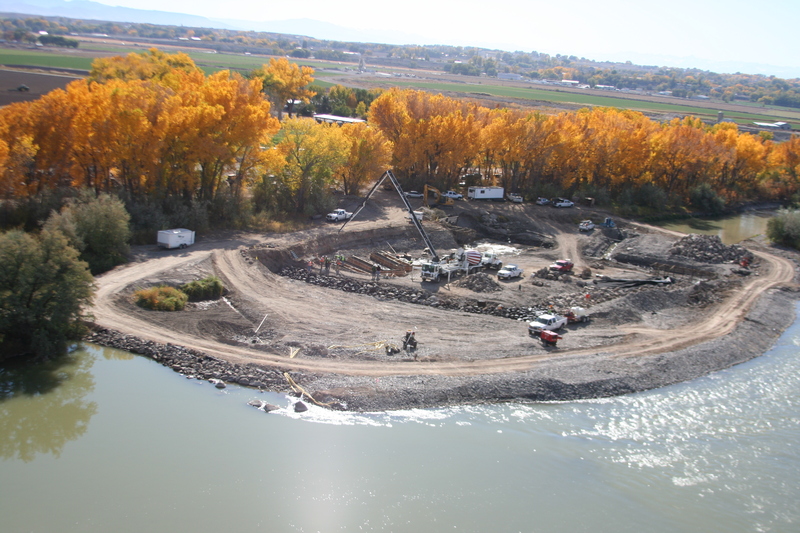 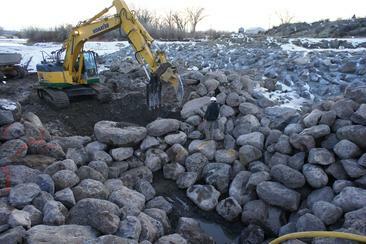 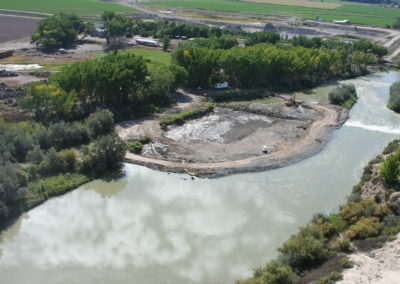 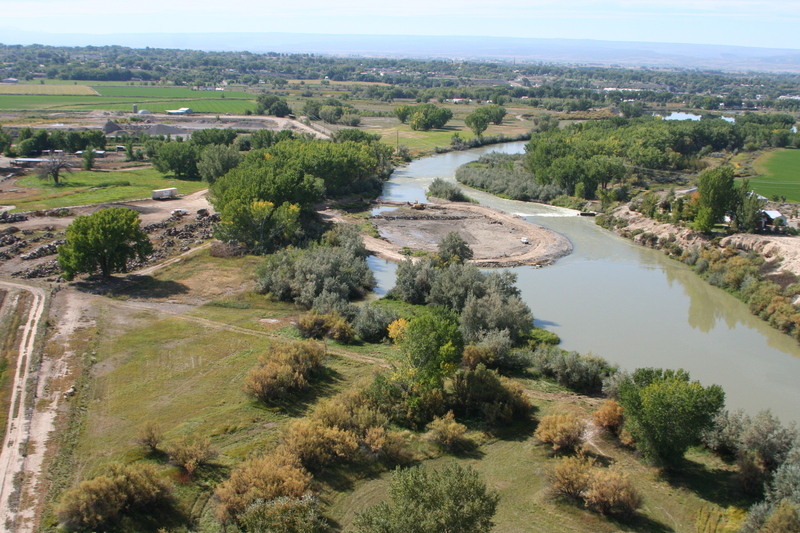 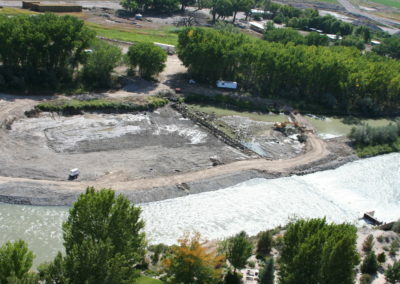 Hartland Diversion Dam | Kissner GC, Inc.
KGCI began the project by constructing a 20’ wide x 600’ long cofferdam consisting of boulders, pit-run, over-sized riprap, and lining and cobble to protect the site from flooding. 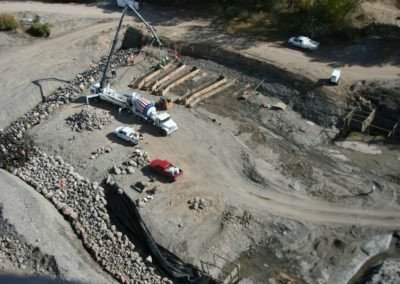 For the dewatering process, KGCI placed 4 gravel packed sumps in various locations throughout the site to mitigate the high levels of ground water. 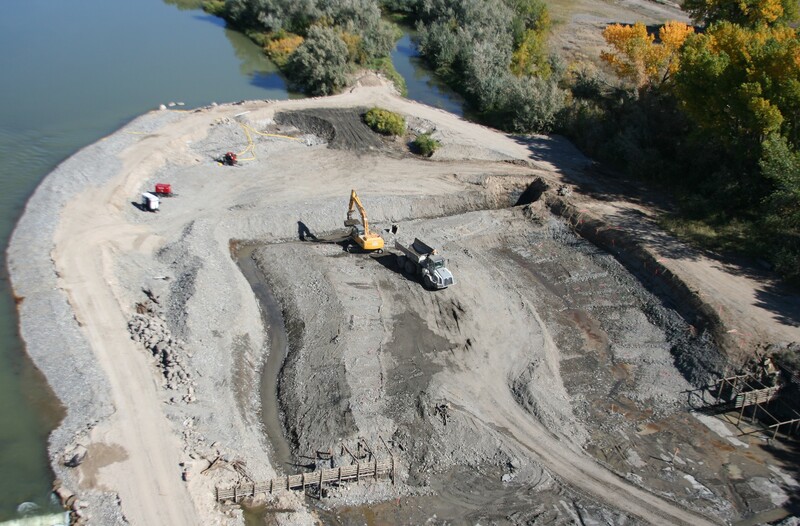 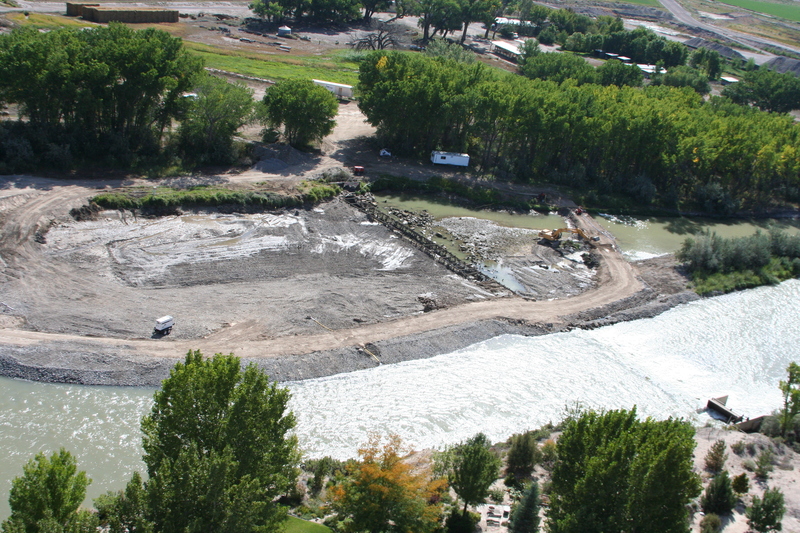 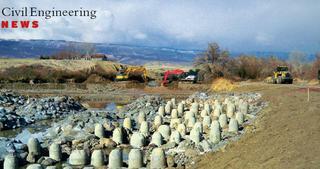 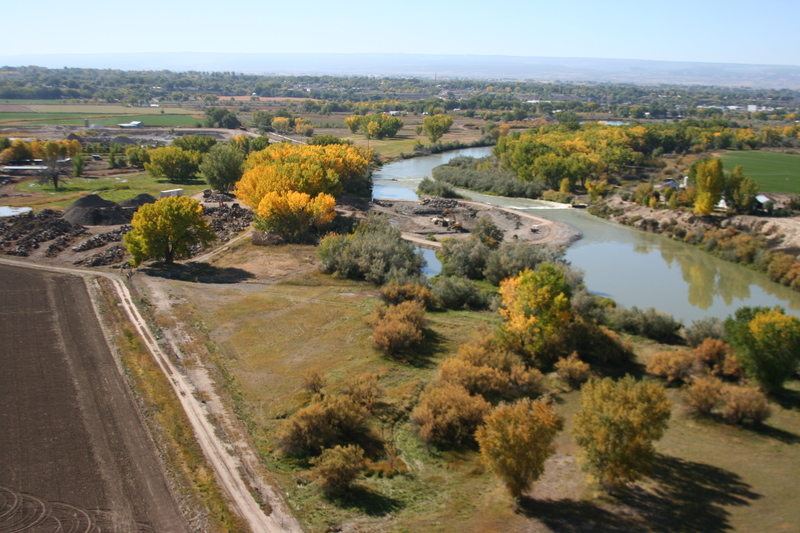 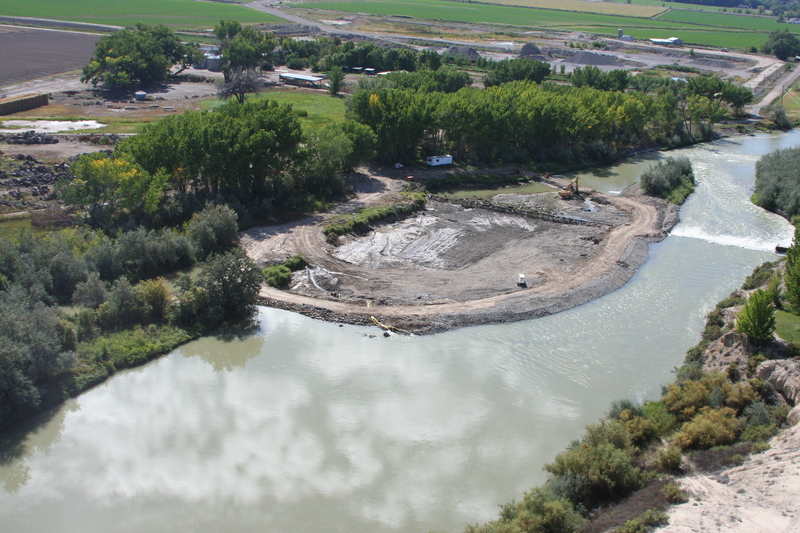 Site construction began by removing the existing 6’ tall x 275’ wide dam structure. 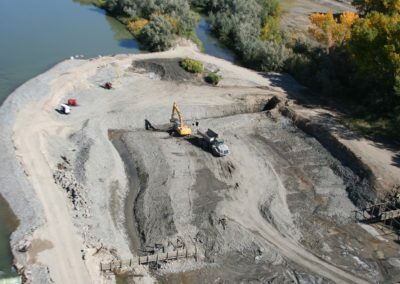 The new main feature construction consisted of 10,000 CY of excavated material and placement of 10,500 CY of riprap set to specific elevations and held in place by 3,100 CY of grout. Awarded the Environmental/Design/Maintenance/Operations Award (2012) by the Colorado chapter of The American Public Works Journal.